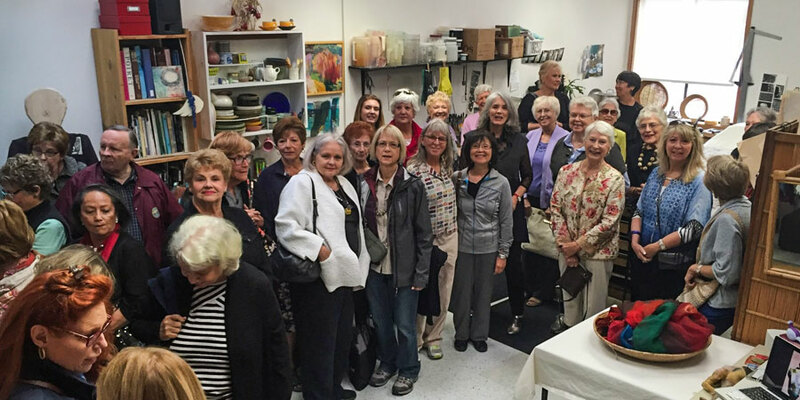 A good excuse to clean and organize one’s studio is to have invited 45 women to come over! 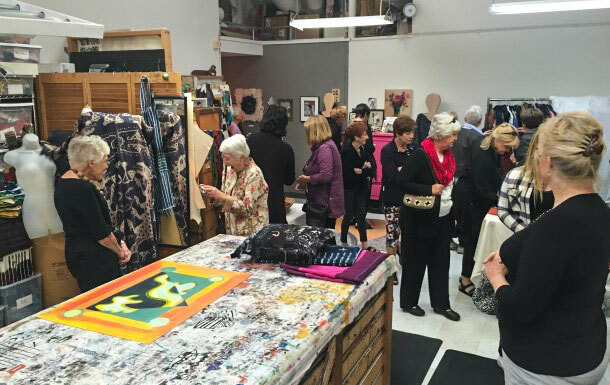 Back in April at the Style ’16 Show, Mary Ann Behrens asked if her group, the Haute Couture Societiè, could come for a studio visit. Yes! Of course. And after we would go to the American Craft Council show at Fort Mason. Oh the sorting. Oh the clean up. I was happy to have an excuse to work the place over. When I am in full production mode or demi mode, I never have the time. And the fabric multiplies. Positively breeds. Spills out from the wall. I had the satisfaction of arranging the whole mess so I could find things, remember things, see things and be excited by them. To find why I kept them in the first place. I also started to finish some ancient projects, way down deep in the project pile. All of that “finishing” helps me move forward and loosens up energy for the next phase. Even though I might feel guilty for sewing something for myself, it is part of the whole “making” process and can inform the next cool piece. Anyway- back to the 45 women! So I met them downstairs and up they filed, a long continuous line of women. I wasn’t entirely sure they would really all fit. But I had taken quite a lot out of the studio. When they were all squeezed in Mary Ann asked me to talk about my clothing. And you know, I did. It just came flowing out. It felt so natural. I love sharing my work and how it came to be. And it is very comfortable to be in the studio where it all happens. Thank you Jonelle Tannahill for the lovely photos!